ORS Tapered Roller Bearings - Metric. 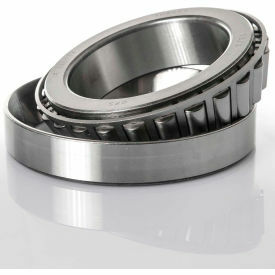 ORS Tapered Roller Bearings are separable; Cone (inner ring) with roller and cage assembly and Cup (outer ring). 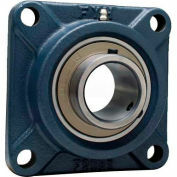 These bearings can be assembled separately and supplied as matched Cup and Cone sets. 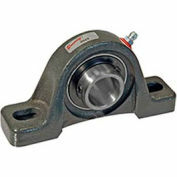 Bearings are made of AISI 52100 grade steel and heat-stabilized to 300°F. Rollers and raceways are optimized to have a line contact which allows the bearing to carry heavy radial and axial loads. 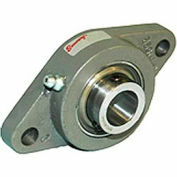 Since these bearings can only support axial loads in one direction, a second laterally reversed bearing may be used for the axial load in other direction (either "back-to-back" or "face-to-face" arrangement). Pressed steel cage separates rollers evenly for reduced wear properties and minimal heat generation. These bearings are mainly used in mining, agriculture, construction, automotive axle, gearbox, conveyor systems in heavy duty industries, among others. ORS Bearings Inc. was established in 1982 with the license of Steyr Waelzlager of Austria, and headquartered in Ankara, Turkey with its 1,000,000 square foot production facility. The company has been granted numerous awards and certificates such as ISO 9001:2008, ISO/TS 16949:2009, ISO 14001, ISO/IEC 27001:2005, OHSAS 18001, FORD Q1 and many more.